In keeping with the 3rd BG/BW theme of the web site, I will attempt to track its activities from the end of the Korean War until its activation as the 3rd Operations Group based at Elmendorf AFB in December of 1991. 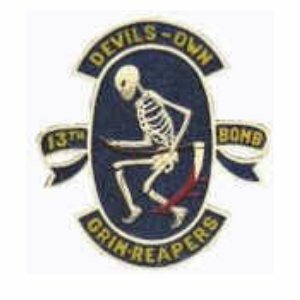 Even though the 8th & 13th Squadrons were realigned during this period of time, their long standing link to the 3rd BG/BW from its very roots deserves recognition. 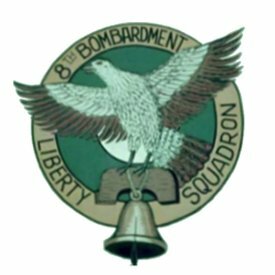 The 90th Attack Squadron also was redesignated as the 90th Bombardment Squadron, Tactical as well as the 90th Tactical Fighter Squadron and back to the 90th Attack Squadron. At the end of the Korean War, the 3rd BW returned to peacetime duty remaining at Kunsan AB - Korea until October 1954, when it moved to Johnson AB - Japan. Beginning in January 1956, the 3d Bombardment Group converted from the B-26 to the Martin B-57B Canberra Night Intruder. The 3rd BG set up a rotation of crews to stand nuclear alert at Kunsan (K-8) air base in South Korea. This rotation continued until April 1964, when the 3rd BG returned to Yokota AB - Japan to begin the process of inactivation. In January 1964 the wing was redesignated as the 3d Tactical Fighter Wing, and was reassigned to England AFB. It was part of an overall effort to reduce the number of wings in Japan. At the same time, the wing gave up its B-57s, becoming the last bombardment wing to fly the medium bomber. The move also ended the long association with the 8th and 13th Bombardment Squadrons and nearly 22 years of active duty in the Far East. The 8th and 13th, however remained in PACAF and were realigned under the Thirteenth Air Force. They were attached to the 41st Air Division and later to the 2d Air Division as the USAF mulled over the fate of the B-57B. During this time, they continued the rotational nuclear alert at Kunsan AB. However, the increasing demands for aircraft in Vietnam caused the Air force to reconsider the deactivation. The aircraft to be moved to Clark AB - Philippines. At England AFB, the wing transitioned into flying primarily F-100D/F Super Sabres. It was deployed to Bien Hoa AB - S. Vietnam from 1965–1970. The wing's F-100s generally operated only in South Vietnam. In late 1969 the F-100s of the 3d TFW began a phaseout at Bien Hoa. 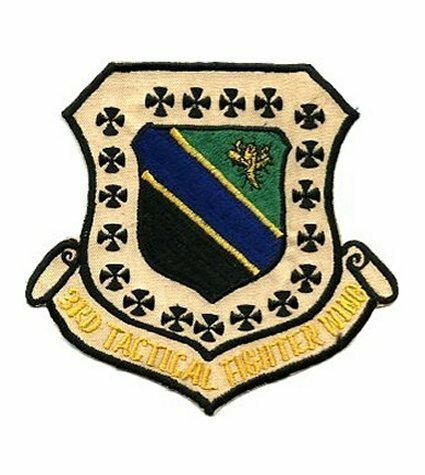 The 90th TFS was redesignated the 90th Attack Squadron on November 15, 1969 and was re-equipped with the A-37 Dragonfly and assigned to the 14th Special Operations Wing at Nha Trang AB on October 31, 1970. After its withdrawal from Southeast Asia in 1971, the wing transitioned to the F-4 Phantom II and moved to Kunsan AB - South Korea with two tactical fighter squadrons. By 1974, the wing had moved to Clark AB - Philippines. The wing remained at Clark AB until its relocation to Elmendorf AFB - Alaska on December 19, 1991. These are links to sites with pertinent information concerning the 3rd BW during this period of time. They are posted for your enjoyment and edification.